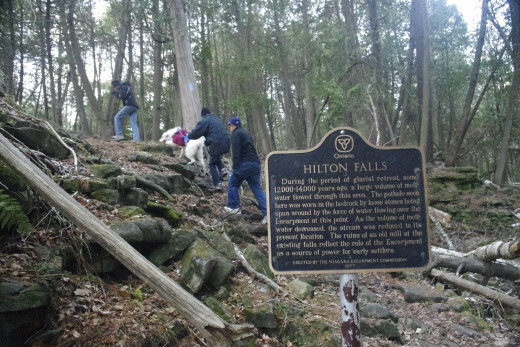 After a day of rain fall, the soggy Bruce Trail started from near the parking lot of Webster Fall Conservation Area near Hamilton, Ontario. Initially, it was quite wide offering easy hike for the entire entourage of 11, aging from a 1 -1/2 year old K2 to a 50 year old. The fall weather of mid-October was pleasant and we were making good progress. We came to a section no wider than a metre with a wall of the ridge on left side and a deep ravine on the right. I knew my boy ‘K2’ very well. 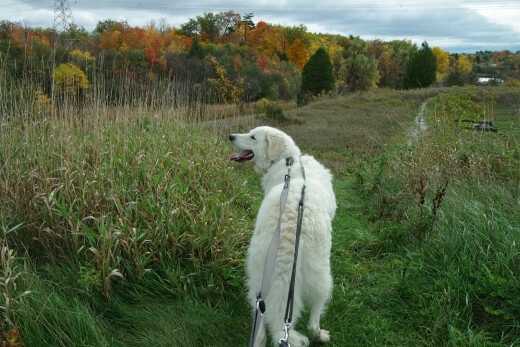 He was on leash as usual, but was behaving erratically on the trail changing the sides all the time, perhaps getting into a state of ecstasy due fall season ‘aroma’ of decaying plant matter. 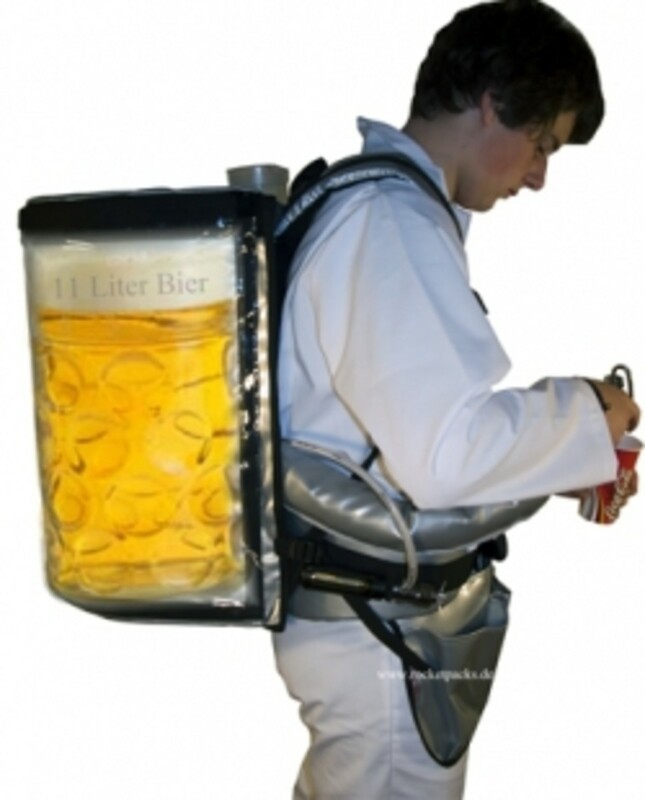 A little pull from him would have taken both of us down into a seemingly bottomless ravine. I decided to climb the wall so that we were further away from the ravine and meet the entourage 300 meters down the trail. 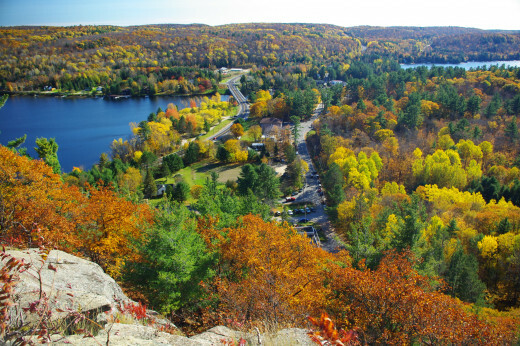 And then it came rounding a bend, a rocky outcrop, overlooking a forest showing colours of all shades – yellow, light green, green, orange, red, brown – those peaking fall colours on the trees were nothing less than spectacular. There were oohs and aahs all over. Black dogs are actually most colourful. 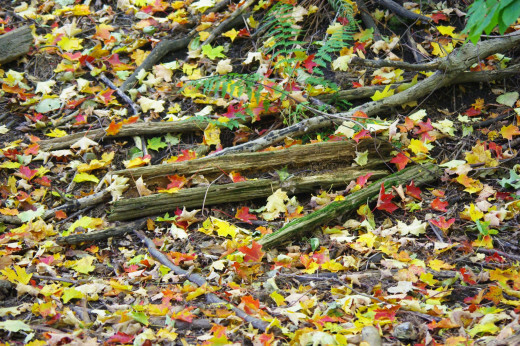 Why do leaves change colours in autumn? Before I respond to that question, first truth be told, scientifically speaking, the leaves appear, for example, orange not because they are orange in colour but because they absorb all colours, reflecting orange back to us. A leaf appears yellow for the same reason – it reflects yellow colour back to us, while absorbing all others. 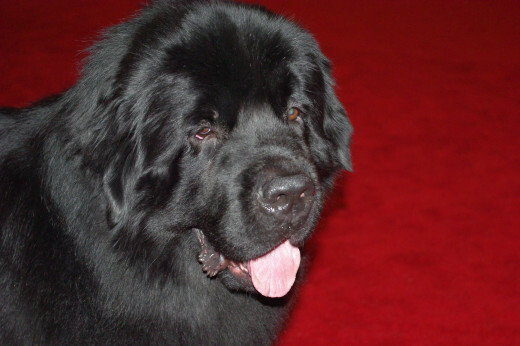 Dogs like this Newfoundland at Purina National Dog Show appear black to us because they absorb all colours (and heat). Therefore, in a way, they are the most 'colourful' dogs. (If a black dog is available for adoption, please go ahead and adopt it. You will be forever happy). K2 reluctant to walk on leafy floor. K2 seems to be breathing air to determine approaching weather rather than the fall colours. Leaves appear green because of abundance of chlorophyll. 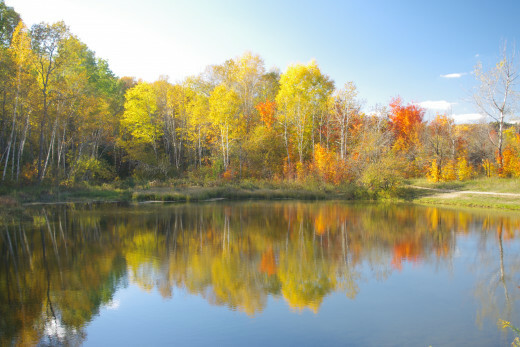 Light regulates chlorophyll production, so as autumn days grow shorter, green color starts to fade from leaves. At the same time, surging sugar concentrations cause increased production of anthocyanin pigments. leaves containing primarily anthocyanins will appear red. 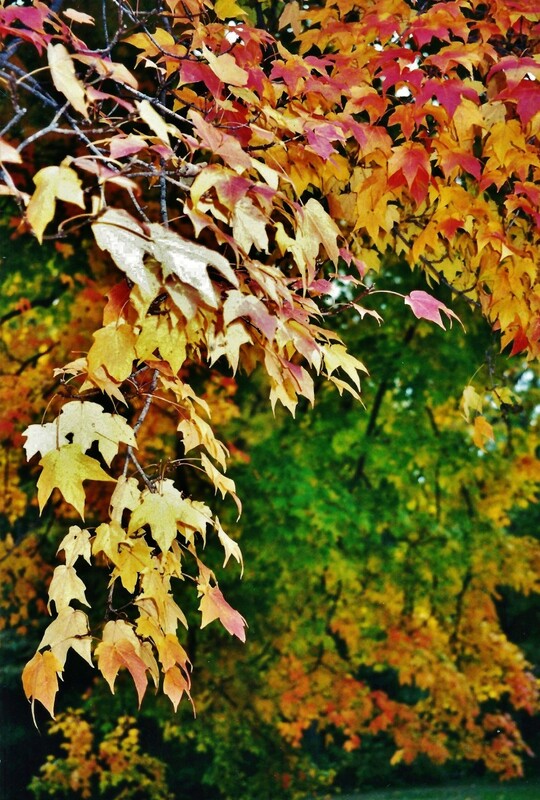 Those containing carotenoids can be orange, yellow, or red, but most of these pigments found in leaves are yellow. Leaves with good amounts of both anthocyanins and carotenoids will appear orange. Leaves with carotenoids but little or no anthocyanin will appear yellow. 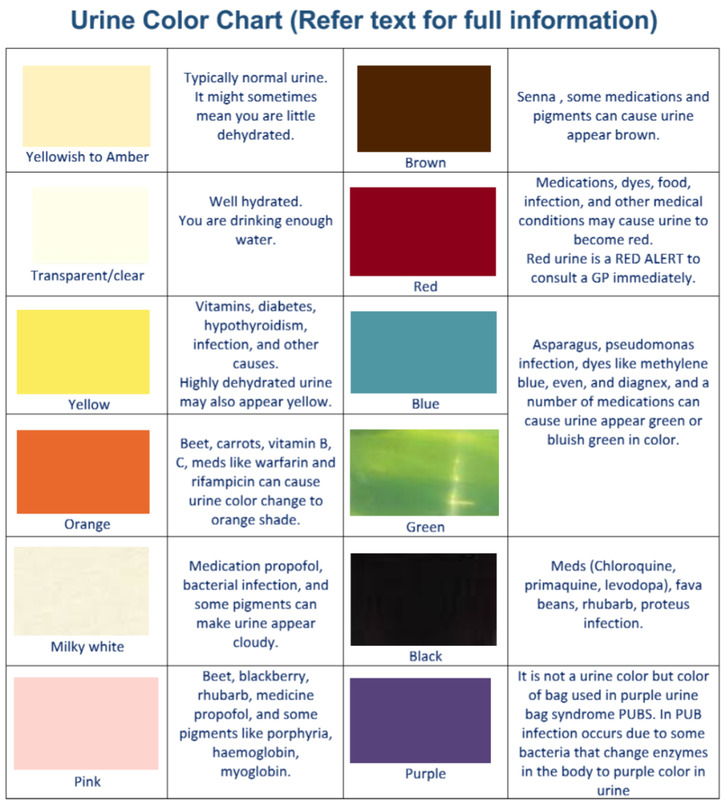 In the absence of these pigments, other plant chemicals also can affect leaf color. An example includes tannins, which are responsible for the brownish color of some oak leaves. Experiments have proven that red colour excites the brain and impacts our decision making capabilities. No wonder why red-coloured leaves excite us much more than any other. Unfortunately, red is also a colour that dogs can’t recognize as different. This explains why your Rover over-runs a red coloured ball in a patch of grass thrown at him. While clearly visible to you, it is undetectable to your furry friend, which makes me think that balls are painted red for pleasing us or for helping us find them in green grass or wherever, not for our furry friends. Fall season is the only period when plants do not lose out to animals in terms of their attractiveness. In the summer, everyone goes, “oh look at that bear’. In fall however, everyone goes. “Wow! Look at those leaves”. It is the trees that attract us in fall season, beautifully captured by Albert Camus through emotions like these, “autumn is second spring when every leaf is a flower”. During our hikes on the Bruce Trail, we witnessed the two seconds flash of green that the sun leaves us with as a lasting memory as it sets below the horizon. The red, orange, and yellow bend too narrowly and dissipate below the horizon and the blue light bends too much and scatters into the sky, leaving us with a flash of green. While the human members of the entourage seemed excited, K2 understood the feeling of joy all around and participated whole-heartedly by waving his tail frantically. We also found out during camping trips that a red or orange sky in the evening meant the approach of fair, sunny weather. On the other hand, if sky appeared red or orange at sunrise then it meant rain or snow within a day. 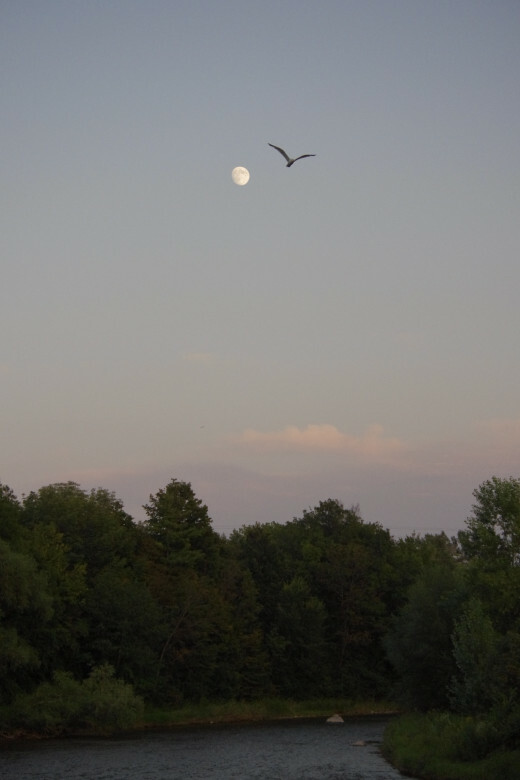 Come to think of the setting sun, fall is also an excellent time to observe celestial bodies. Days become gradually shorter and during the culminating part of a hike there is a good chance of your seeing the moving patterns of the sun, the moon, planets, and stars. It was during our fall season hikes on the trail that we realized how the moon during its first couple of days of birth rises up in the east and sets down in the west in the company of the sun and therefore, due to the brightness of the latter, it is quite difficult to see. However, since it travels across the sky slower that the sun does, actually it falls behind about 12.85 degrees every day, it can be observed easily in the latter days. By the 7th day, it falls behind the sun enough to appear 90 degrees behind it and reaches the waxing half of disc. By 14th day it becomes a full moon as now it lags behind enough (approximately 180 degrees) to appear in the sky exactly opposite to the sun (when the sun is setting, the moon is rising). By 21st day, it becomes a waning half of disc and falls so far behind the sun that you can only see it in the morning with the sun almost catching up on it. After that, the sun comes closer and closer and becomes more and more powerful, finally putting the moon back to its subdued state and the whole cycle is repeated again. Although like the sun and the moon, planets are predictable in their rotational movements, they are unpredictable in their appearance over the skies. It was only during our hikes that we were able to see Venus directly above the crescent when the sun had set, a scene so beautiful that Ottomans had decided to use it for their standards, giving a crescent and a star on the flags of so many Muslim countries today. Movement of stars is predictable. 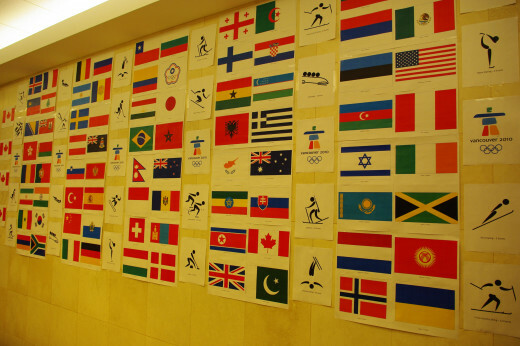 The stars that I see at night will be seen by all my relatives living in Diaspora all over in Canada, USA, UK, Scandinavia, Middle East, etc. albeit at different times and a slightly different location in the night sky, but they will never be seen by my relatives in Australia and South Africa. This latter group of relatives has their own stars in the southern hemisphere that they will be able to see, but we can’t. But don’t expect your Fido to take any interest in the celestial bodies and their movements. K2 always looks up in the dark if he hears geese fly by honking, but he may have only looked at a full moon twice and without much interest. I think celestial bodies do not appear interestingly enough in dogs’ world. But the sounds and smells of the night do. Your furry friend will be all alert at this time. You would be better off paying attention to its body language. Dogs’ vision is roughly as good as ours, but they have better night vision, peripheral vision and motion detection that can be helpful while hiking in the dark. Their smelling and hearing senses that are much better than ours and can be used to a distinct advantage. Their olfactory sense, especially, provides a window to recent past, present and therefore, near future. They can smell presence of a danger much before humans can. Early spring and fall seasons in bear country can be life threatening. Both grizzlies and black bears are reported to initiate predatory attacks during these seasons and especially in the early to mid-fall when they want to accumulate energy before going into hibernation. Suffice is to say we will not be hiking in the bear country in this season. 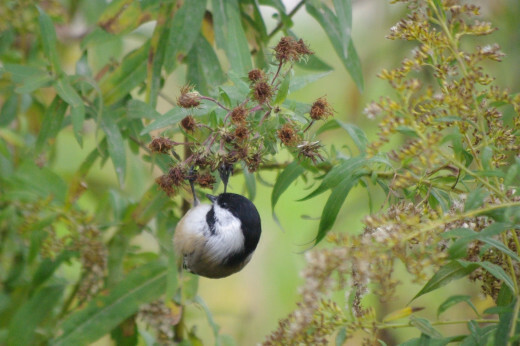 We noticed that early and mid-fall is the time when wild animals and birds are feeding on everything they can find before migrating south or going into hibernation, respectively. Compared to summers, birds and squirrels become a little less fearful and skunks are always omnipresent, especially after the dusk. If I have to hike at dusk or after, I keep K2 on a short leash and am proactively vigilant for skunks. 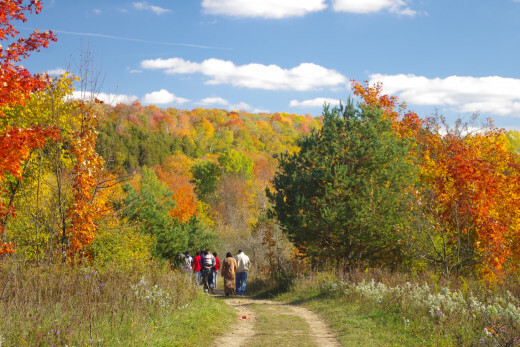 How to enjoy late Fall? But then like every "good" thing, season of beautiful fall colours comes to end yielding to wet, much colder and gray of November and early December. But if you look at it these two months have attractions of their own. 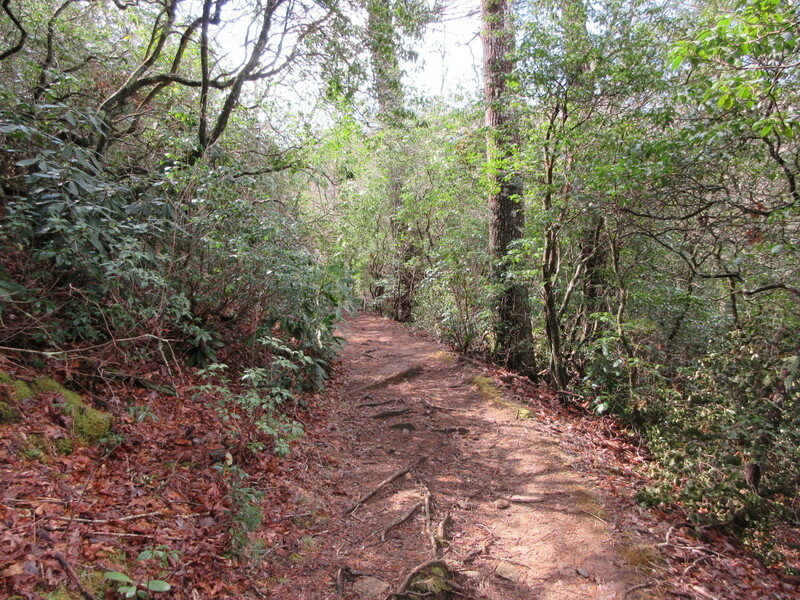 Not only there is an anticipation of Christmas and holiday season is in the air, hiking outside is still refreshing. With leaves gone from the branches and forming a gray carpet on the forest floor, you can actually see how the trees and geographical feature actually look. 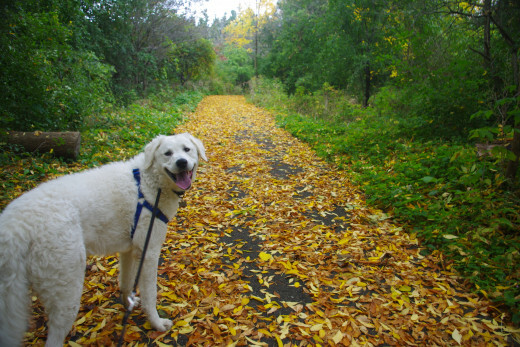 While you can enjoy the barrenness of the surrounding, your pooch will be only too happy to run around and play in the fallen leaves. 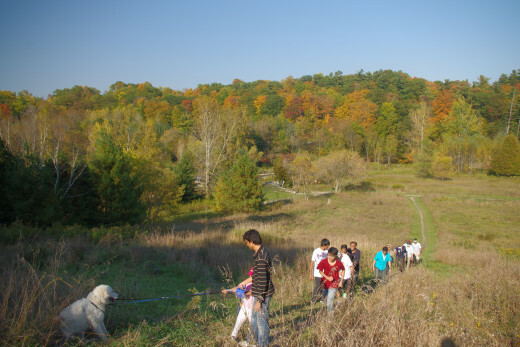 Bruce Trail meanders at the edges of the Niagara Escarpment, which is one of the thirteen UNESCO World Biosphere Reserves in Canada, for 782 km. 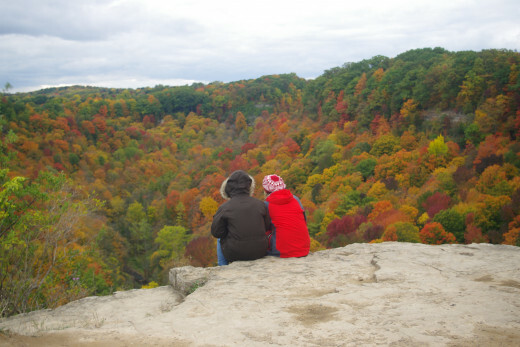 Hiking the Bruce Trail near Hamilton presents, in addition to the beautiful fall colours, many waterfalls. We had explored 12 of them in sizzling temperatures of the summer. 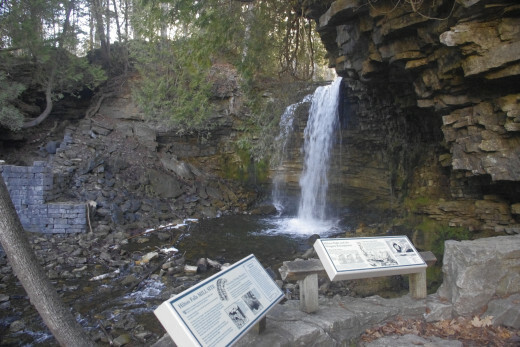 It was in late fall however, when the trees were denuded of all their leaves that we confirmed that waterfalls are a characteristic of a terrain, primarily ‘U’ shaped valleys, carved out by a glacier about 2 million years ago. K2 leads us on the Bruce Trail near Hamilton. 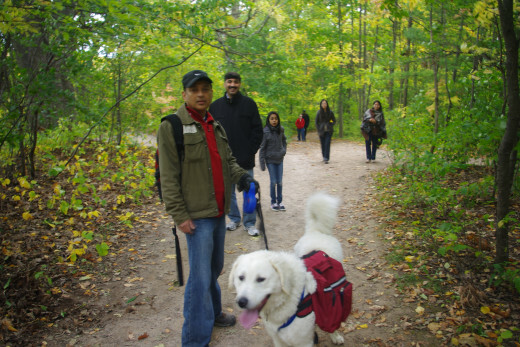 Going back to our hike with K2 on the Bruce Trail near Hamilton, we will never know for sure whether K2 enjoyed his hikes in fall season because of the colours of the leaves or the smell that we humans can never experience. One thing we did observe though. When we stopped for looking at those colourful trees on the slope of the escarpment, K2 looked intently too. Hi, I miss Canada at the start of fall. 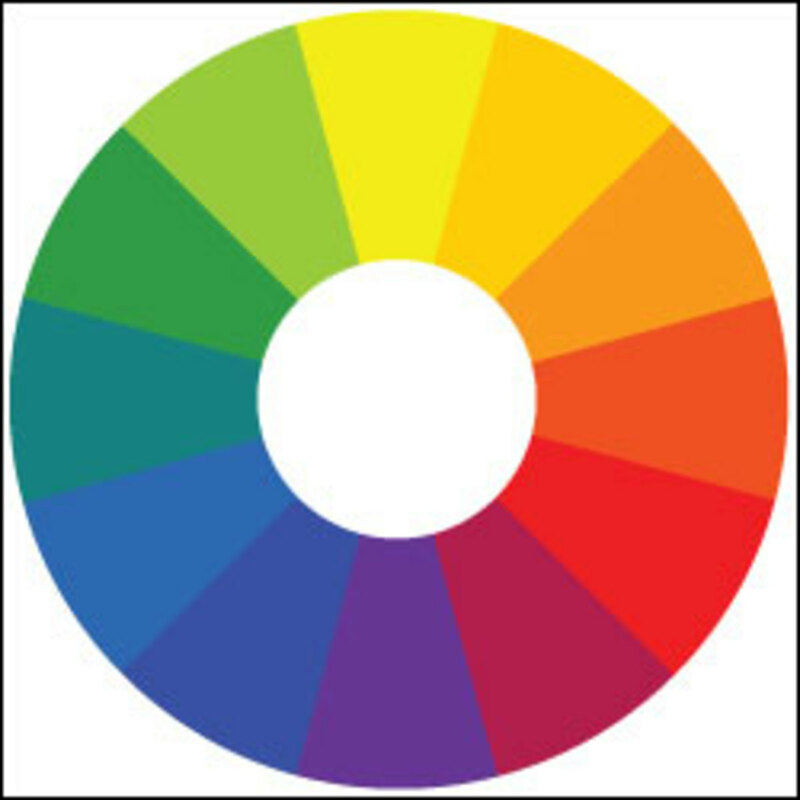 Your photos show how beautiful the colors are. I may have to go north for awhile before we get a big snow. Thanks for your kind words about Ontario. Yes, we are so fortunate to have 4 distinct seasons here. Hence, I do have hubs catering to each of those seasons LOL. 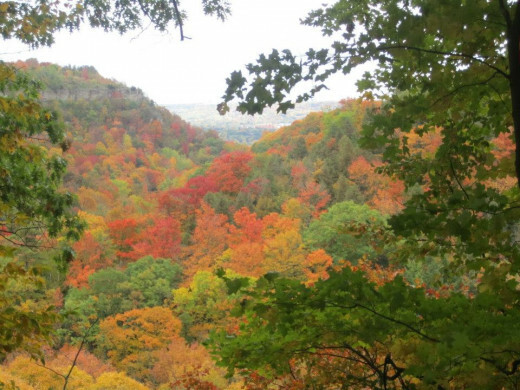 Beautiful photos- I miss Ontario in the fall. The trees are glorious in their fall colors. Love K2! Thank you for visiting this hub and leaving detailed comments. You live in beautiful part of the USA (NC+ Asheville). I have visited that region on numerous occasion. I am sure your dog is a great companion at home. And that's what dogs are all about - giving us company at home or out of home. I remember one of our mutts (1990s), who was scared of our rabbits. We had brought him as a puppy and a male rabbit just attacked him taking him for competition lol. Afterward, our puppy grew up into a big dog who usually scared people and other dogs away, but was always scared of the rabbits. Loved seeing fall through your eyes. K2 is gorgeous and looks very rugged. I wish my dog enjoyed hiking. I live in Asheville NC next door to Smokey Mountain National Park. She is very much a pampered city dog though. When the weather doesn't suit her I have a hard time just dragging her out of the house. She is also a complete coward. I had a lap full of panicked dog when my husband brought home a tiny kitten that fit into his pocket. Our cat still terrifies her even though it tries to be her friend. Our last dog was a tea cup Chihuahua afraid of nothing. Now we have a huge mutt afraid of her shadow. Thank you, Stella. This is followed by dark and eerie November though hahaha. Thank you very much Eiddwen for reading and leaving encouraging comments. What a wonderful read and thank you so much for sharing. Thank you Vinaya. If I were living in the Himalayas, I wouldn't be taking my dog to hiking there either lol. I love hiking but I have never taken my dog to the hills. I loved your pictures. Thank you, Deb. I just wanted to bring some science into my observations as well. Wonderful hikes, great colors, a beautiful K2, and great narration. Thanks, Suhail, for bringing me right to the spot that you were. This is a lovely hub, Suhail. The descriptions and photos are very enjoyable. You've presented the joys of exploring nature in the fall very effectively. Thank you Genna for reading this article. Since you live in MA, your autumn season will begin around the same time as ours. If things work out well for my wife and me, we may have a drive through Berkshires this fall to observe fall colours there.